Born in Chicago in 1923, Marvel Mystery Oil was developed to combat deposits on carburetors caused by poorly refined gasoline of the age. Marvels popularity soared as word spread of its effectiveness in treating all types of engine ailments and was used extensively in WWII on everything from airplanes to battleships to tanks. Today, Marvel Mystery Oil provides vehicle owners the ability to solve scores of automotive ailments with one product that can be added to both oil and fuel. Marvel Mystery Oil is a product aimed towards motorheads that can be added to both oil and fuel to clean, maintain and enhance the performance of a engine. The Marvel website has not been updated in several years and needs to be refreshed to compete with competitors and reinvigorate the Marvel Brand. With the MMO community being such a loyal and strong part of the brand, our approach was to create a site that was centred around the MMO's core consumer (Gearheads). As well as address business objectives of showcasing increased product uses and build credibility with retailers. Building focus around the increased uses, the solution finder allows the user to drill down into information based on their type of vehicle whilst recognising the MMO product range is suitable for much more than their initial need. Helping to increase the users knowledge of where they can use MMO, each product details page has a set of icons which addresses the possible uses. Featuring testimonials from the MMO community, Why MMO gives a transparent and personal view on the products as well as showcase the versatility of MMO. 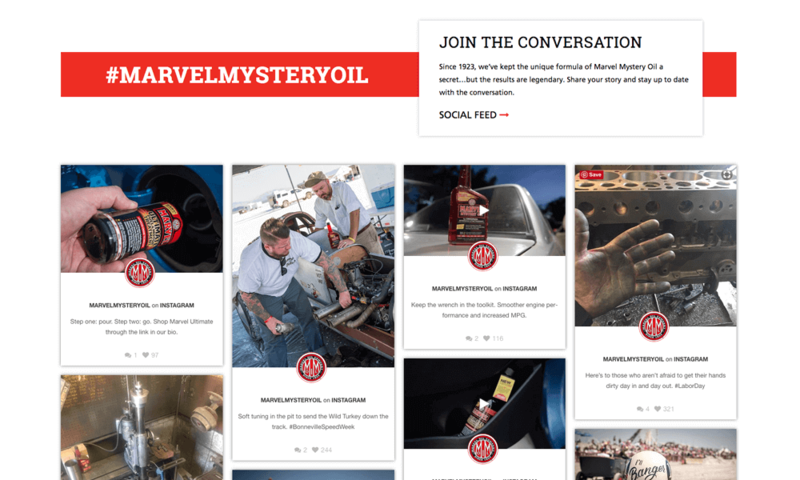 To reinvigorate the Marvel Brand we have developed an area where MMO can showcase partnered influencers such as Max Herman of Oilers Car Club and H&H Flatheads. It is here where we celebrate the shenanigans of the MMO partnerships, with a library of content to make a motorhead weak at the knees. 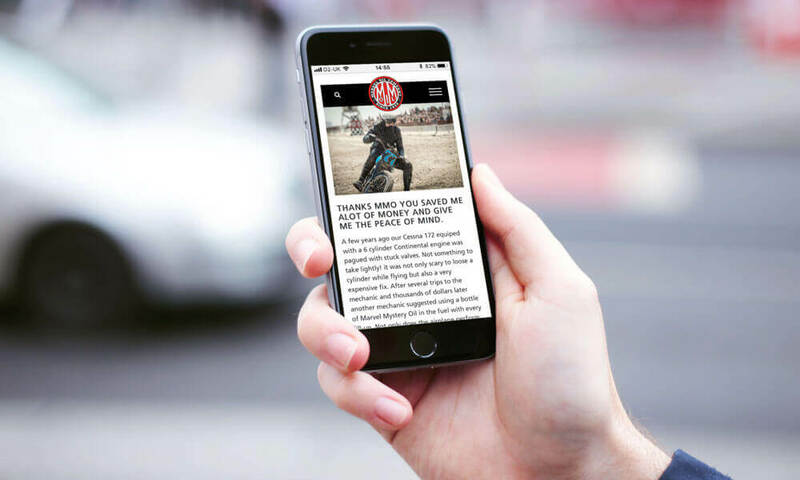 Along with the rest of the site 'The Garage' pulls in the MMO Instagram social feed, bringing the audience closer to the action and connecting with them on a more personal level. By directing the MMO community to Amazon, the user can now pick up a product in minimal clicks. 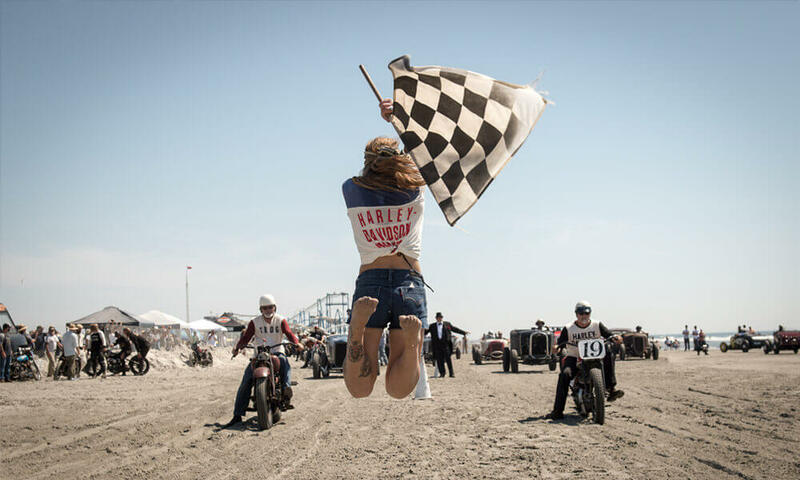 A site which is centred around the users needs, new and existing 'Gearheads' can now effortlessly revel in the authentic brand legacy as well as address their needs in minimal clicks.